Does the World Really Need a Sadface Poop Emoji? The smiling poop emoji is one of the few emojis that I feel I can use in just about any situation. When I’m happy, I’m a happy poop. When I’m sad, I’m a poop who is smiling through it. 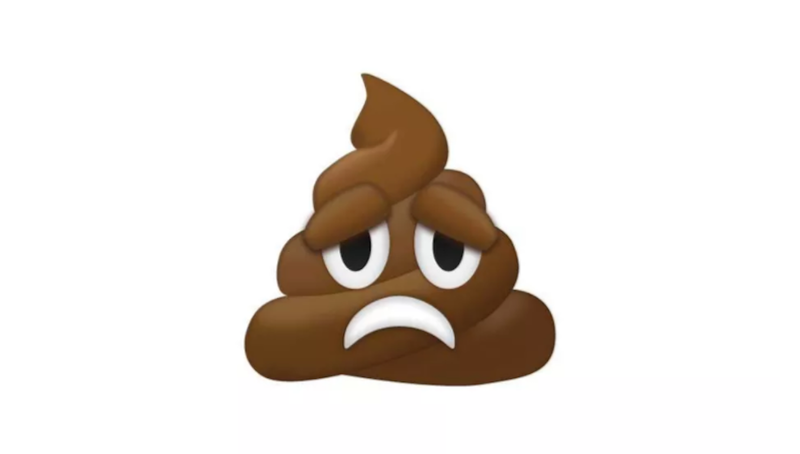 A new frown-y face poop emoji is being proposed, and excuse me for resisting, but I believe it lacks subtlety. The Verge reports that it is actually someone’s job to submit emoji recommendations. The Emoji Subcommittee has delivered their proposed list of 67 new emoji characters for the release of Unicode 11.0 in 2018. If accepted, phone manufacturers will add their version to future software updates. We won’t know for sure if Sad Poop made the cut until October, but I’m confident in saying right now—hand in your resignation, sirs! The sad poop is too real. Having a sad poop is sad, and being presented with the image of it is too close to seeing a pic of someone’s actual sad poop. The poop emoji should be joyful, resilient, hopeful, and above all, it should make me smile when I see it. In this dark moment in history,we need escapist emojis, not ones that flush us low into the swirling waters of despair! Where&apos;d This Emoji Movie Tweet Go?